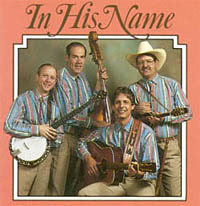 This recording will be a wonderful addition to your Bluegrass Brethren collection. With band performance repertoire award-winning tunes, "In Heaven" and "Jesus Wins", this continues to be a very desirable item. There are some other real gems here, including "Take Up Your Cross", "Lord Jesus", "Back To The Bible" and many others.